The much awaited Uniqlo and Lemaire collaboration lookbook is finally here! Described as "timeless elegance to everyday essentials" ― the 55-piece collection includes pieces such as ribbed sweaters, ankle-length dresses, chunky scarves and over-sized coats in shades of red, navy, white and green. 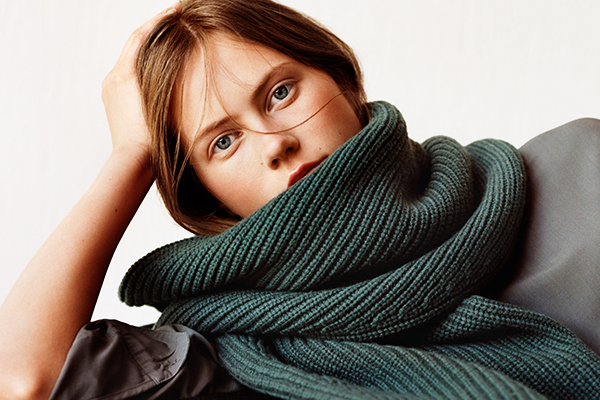 Priced between $39.90 and $149.90, the Lemaire for Uniqlo collection hits stores starting October 2nd. UNIQLO and Lemaire have come together to offer timeless elegance to everyday essentials that are made of the most carefully selected materials. The collection brings a sense of refined yet friendly confidence to pieces that you can wear everyday and on any occasion. This is LifeWear elevated with style that fully respects the individual.